Snorkel UK is pleased to announce that Angela Taylor has been promoted to the newly-created role of Customer Operations Manager. 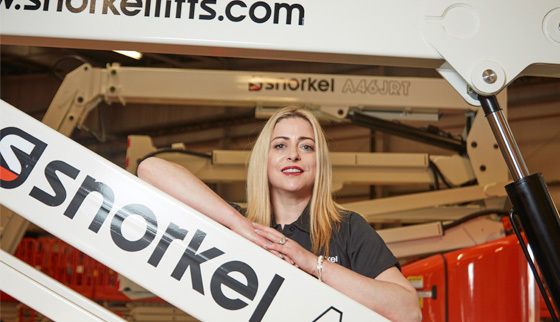 Angela will relocate to Newcastle-upon-Tyne in the near future to assume the position, which will be based at Snorkel UK’s head office in Washington, Tyne & Wear. Reporting directly to Managing Director, Andrew Fishburn, Angela will lead the Snorkel UK internal customer support team, ensuring excellence across customer service, product support and spare parts. Angela will commence the new role on Monday, June 4th.